Wednesday, I think I had my most challenging hike yet. Alex, Katie, and I took the dogs up to Mount Ellen and we had no idea what we were in for. First off, we didn’t even make it to Mount Ellen. 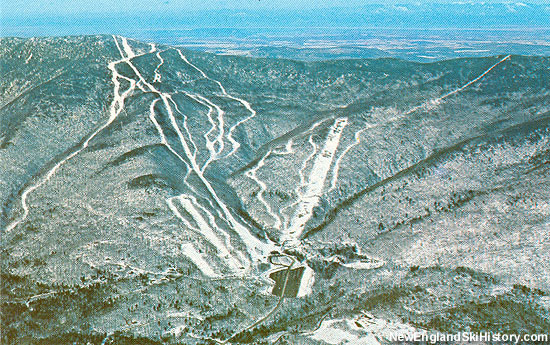 We got confused and ended up at Stark Mountain which is part of MadRiver ski mountain. The map told us if we hiked to the top of this small mountain, we could walk across to Mt. Ellen. So we decided to just try it that way. A nice walk along the ridge line sounded beautiful and relaxing. Katie and her dog (Tegan) haven’t really been hiking like we have. Because its a smaller mountain, we figured “shorter hike, right?” No. Nope. Not even a little. The ascent picked up right away and we were using our hands and hauling both dogs up rocks and over tree branches. Everyone was pretty sweaty, but doing great! Once we made it to the top of the mountain, we realized where we actually were, and decided to try and walk across to Mount Ellen. It was a race against the sunset. That’s when we noticed one of the dogs limping and realized it was time to turn back pronto. Her feet were all ripped up and the pads of her paws were bleeding! Poor thing wasn’t even crying or making any sound. I made the judgement call to walk down the access route on the mountain. I was a lot easier and we could send someone to walk up and get the car. Thanks goodness we decided top take that route down. The first dog wouldn’t walk at all, so Alex essentially fireman carried an 80lb dog 2.5 miles down the winding road. If that wasn’t bad enough, half way down, the second dog’s pads gave out. So, I carried her the second half of the mountain. I had to start from kneeling, get her on my shoulders, and then slowly stand. Talk about a monster leg workout. Upon reaching the bottom, I then walked with Katie another mile uphill to retrieve the car. Pretty much a second hike with how steep and windy the road was. Some how, after 6 hours and 8.5 miles later, we were all back in the car on our way home (with our beloved McDonald’s chocolate milkshakes- I think we deserved them!) Everyone is okay, the dogs are resting and being extra loved! There are two things I have been working on that I think saved my legs and my back from serious injury. Pull ups– the quest for the pull up is already paying off! Since I’ve been isolating the major muscle groups for pull ups, as well as slowly working on my assisted pull ups, I was able to carry my dog while keeping a strong frame as well as engaging multiple large muscles to help with shoulder fatigue. Engaging the abs in a hollowing fashion (what we call “udyana bhanda” in yoga) while still being able to breath was key. Step Downs– I saw a woman doing this at the gym and I’ve been all about it ever since.To perform the step down (that’s what I named it), you stand on the assisted pull up machine platform with one foot while the other foot stays down on the ground/step to support you. Using the assisted weight as your a counterweight, slowly push the platform down until your leg is strait. Then let the knee bend (watch that it doesn’t go over the toes) until it’s at a 90 degree angle. The trick here is to not let your backside move towards and away while doing it, the only thing that should be moving and working is the pushing leg. This corresponds to hiking because it’s similar to stepping uphill and having to put more body weight into each leg than we do on solid ground.